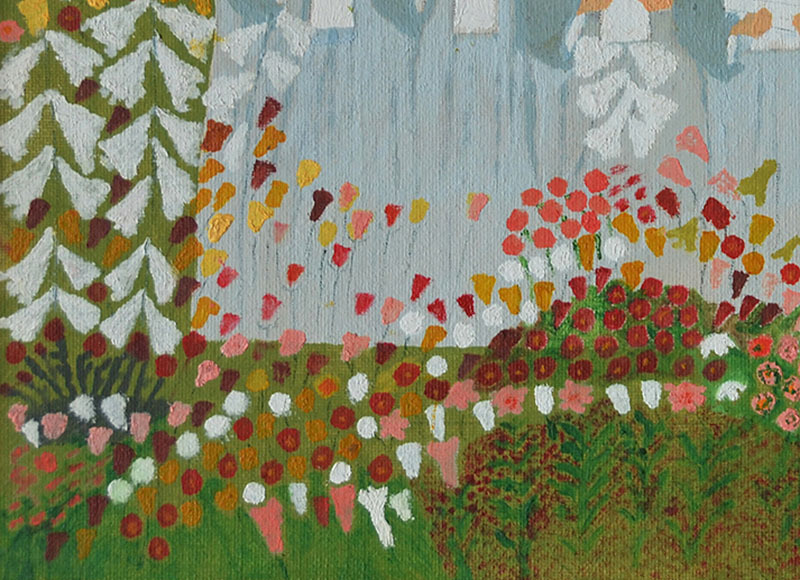 An atypical work by George Morgan who is known for his bird's eye views of Maine towns. The patterning of the flowers is quite extraordinary. 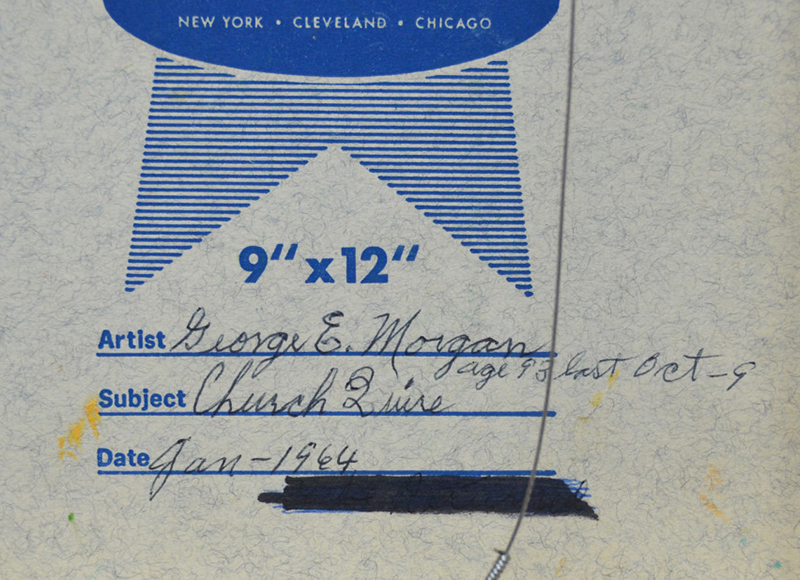 Signed, titled and dated on the back and Morgan gives his age as, "age 93 last Oct - 9." Morgan was a true Folk/Outsider artist. 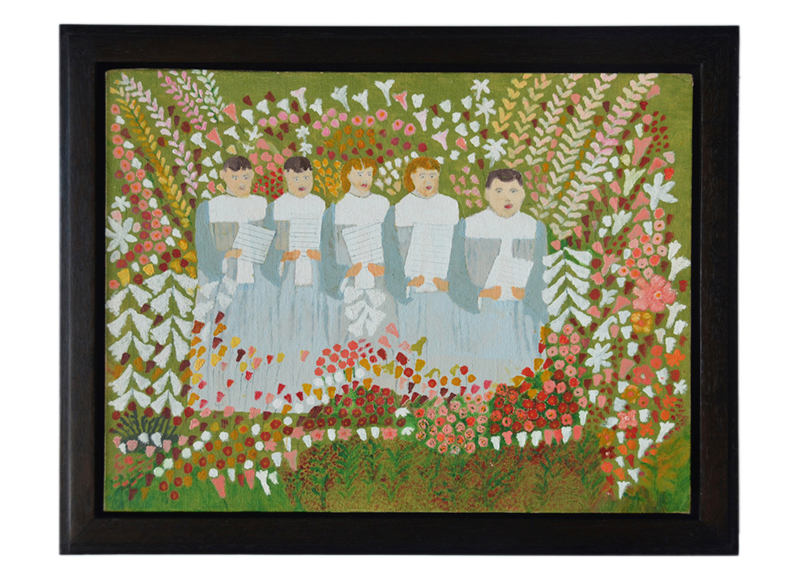 A former shoe factory worker, he began painting in his early nineties. Please read more about Morgan HERE and HERE. 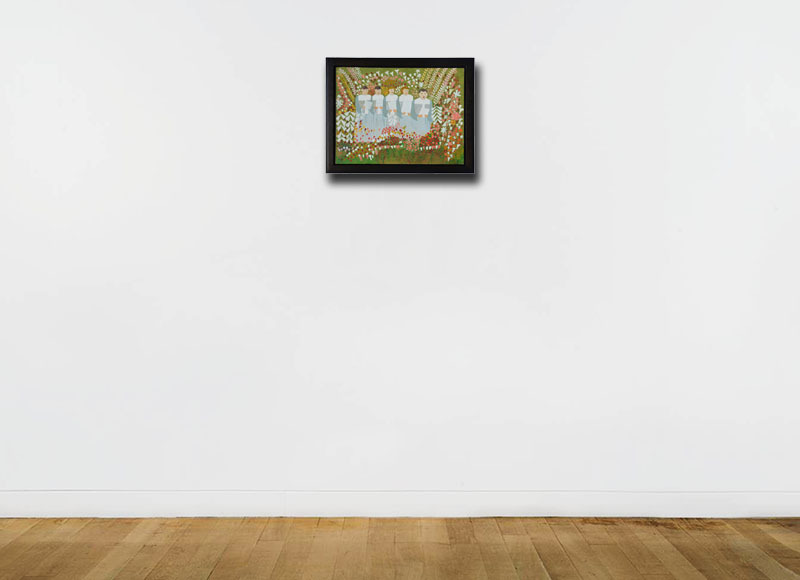 Select Exhibitions: Farnsworth Art Museum, Rockland, ME, "George E. Morgan: Self Taught Painter of Maine" July 16 - October 11, 1998; The Center for Intuitive and Outsider Art, Chicago, IL, "George E. Morgan: Maine Streets" February 5 - April 10, 1999.